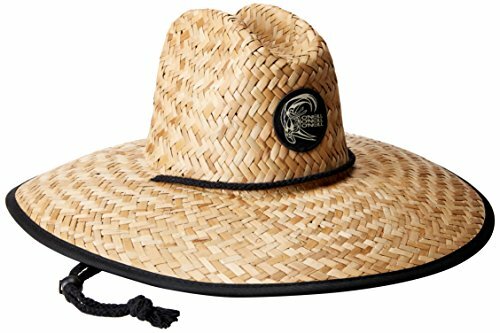 O'Neill Men's Sonoma Prints Straw Hat, Naturl1, One Size | What Should I Say? O'Neill Sonoma hat. Men's large brimmed hat. O'Neill logo patch sewn at front. Black chin strap. Interior headband. 100% straw. Imported. Vendor style #: 15192004.